Well, it’s now officially been a year since I started doing YouTube in earnest. Yeah, I had a channel before April of 2017, but it only had a few videos on it, and they weren’t great. They didn’t have a ton of views, and I had only a few subscribers. So, I decided in April of last year that I was going to start doing YouTube for real. My goal was then (and still is) to learn how to be a “TV Chef.” Ideally, I’d love to have my own cooking show. But obviously stuff like this doesn’t come easily, so the plan is/was to create a YouTube channel and put content on there, with the goal being to learn how to get good at this stuff, and to build up a portfolio of work. The goal was, quite simply, to post one video per week. And here, a year later, there are now 60+ new videos on my channel. Goal reached. But hey–I’m a giant nerd, so I like to look at analytics and hopefully learn from the data, so let’s have a look at that. Subscribers: when it comes to YouTube, there is no other stat that is as important as your number of subscribers. I started out with 22. Today, my subscriber count is 260, an increase of 238 new subscribers. So, while I do think this is cool, I also kind of feel like, given the amount of work I put into creating these videos, that it should be higher. I had hoped to be at 1000 subscribers after a year. 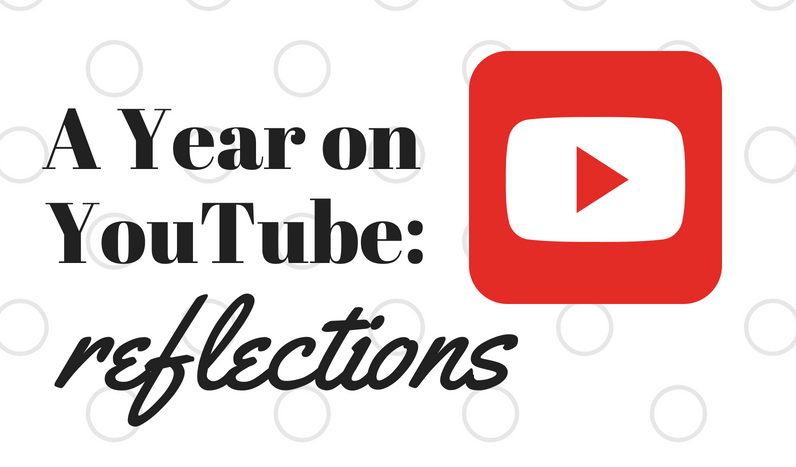 Watch Time: all together, viewers watched 32,630 minutes of of my videos over this year, and that broke down to more than 19,000 views overall. I mean, it certainly is kinda cool to think about all those people watching hours of my videos. I am, however, still a huge distance from the 240,000 minutes of watch time I will need to monetize my channel. View Duration: 1:42. Guys, this is a big problem, and it has been a long. I make longer videos (you try to do a full recipe beginning to end in under 3 minutes! ), and people are not watching them to the end. I try to get them in at under 10 minutes, with the majority being in the 6-7 minute range. But 90 seconds??? The only way to achieve that is by creating tasty-style overhead videos. This kind of video format isn’t my strength, and quite frankly, there are others (like Tasty!) that are doing it really well. I can’t compete with that. My best videos: there are two that actually did quite well, and currently both sitting at around 9,000 views (remember, YT counts a ‘view’ as someone watching 30 seconds). One is my video on how to make kale chips in the dehydrator. This is a really old video, that predates this year. The other, however, is a video on how to make Vegan Chocolate Mousse, and it ties perfectly into my blog and my book sales (the recipe features aquafaba). That is all superfly, but this was also one of the first videos I made, and it’s a bit rough. The sound is super echoey and it was before I got a better camera and started shooting on my current set. My third most popular one is a vegan Julia Child recipe that I actually really like quite a lot. I scoured the internets for some kind of idea as to what “normal YouTube growth” looked like, but honestly, it’s impossible to know what “normal” is, not shockingly. Like, I’m sure, most people will do at a milestone like this, I’m trying to figure out the ROI. I made around 60 videos, and on average, I’m guessing each video took me 2-3 hours to complete. So I invested 120 hours this past year in creating video, not to mention the money I spent in groceries, travel and investing in new camera gear. I think it’s pretty safe to say, one year in, that investment has not yet paid off, as I didn’t have any sponsored posts, and, in fact, YouTube discontinued my monetization of my channel halfway through the year due to changes in policy. Were there other, more intangible benefits? Sure. I mean, I feel like I am learning how to be on camera, how to be a better presenting chef. So, the $64Million question is, will all this work pay off in the future if I continue to go down this path? In all honesty, I’m not sure that I should keep going, and that’s not just discouragement talking, that’s cold, hard facts. But maybe I just need to give it more time? I’d be very interested to hear your thoughts on all this.